This is a specialist electrical assembly division, involved with the design of low voltage power distribution and motor control assemblies. The design of the panel is done here, based on customer specification, and to international norms (IEC 61439-1/2). The drives division supplies SSD Parker speed drives, including AC Drives, DC Drives, Servo Drives and Soft Starters. They provide the complete service of drive system design, commissioning, back-up service and training. ATI Systems is the sole importer and distributor of the Eldon range of enclosures. It includes Wall Mounted Enclosures, Floor Standing Enclosures and Consoles, in stainless steel and mild steel. ATI is the largest stockist of quality Electrical enclosures in Southern Africa. Quality is part of our backbone, and an absolute requirement in terms of the steel assembly, the components therein, the way the project is put together and the way it is documented. Projects need finance and overall control. All projects are controlled under a skilled leader. The main tool for control is SAP. All products in the ATI portfolio are specialist products. 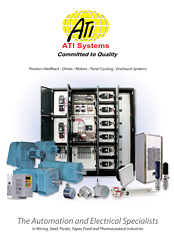 ATI provides all levels of training for the safe and efficient application of all their products. All ATI products are backed-up with good functional stock-holding. Our competent staff is available for site service all over Southern Africa at customer’s request. All territories in Southern Africa is covered by either a direct ATI office/representative or authorized distributors. Complete low voltage MCC’s / Distribution Boards can be build in a short time, because a full range of enclosures and enclosure parts are ex-stock. The sheet metal manufacturing program is fast tracked, with our ready on stock, world class Eldon and Elsteel enclosures. These panels are made to, and carry most international functional certifications. 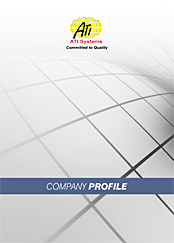 ATI Systems is a specialist company, specializing in rotary motion and linear displacement. 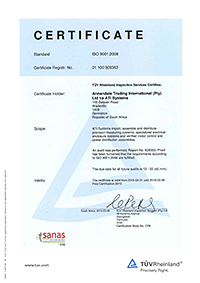 Our staff is trained by our suppliers in the countries of origin, and all have recognized engineering qualifications. We are able to supply turnkey solutions in this business, and supply a 24 hour back-up service. The mission of ATI Systems is to import and market products, to the Southern Africa automation industry, and to back these up with sound engineering expertise and training.